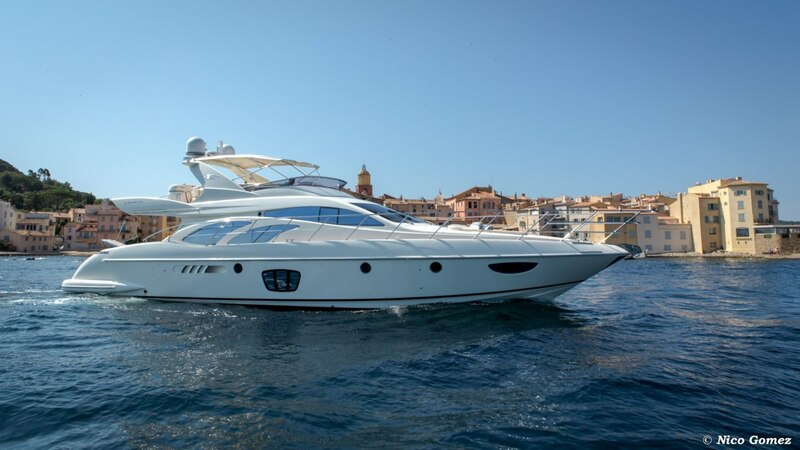 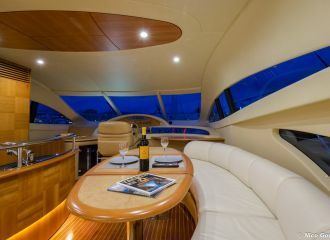 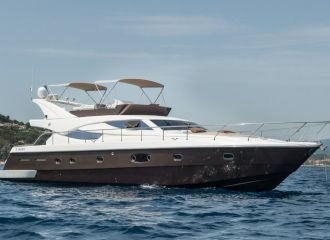 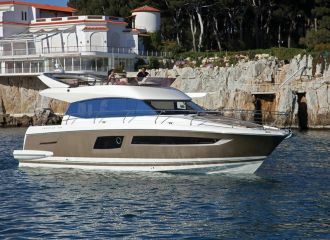 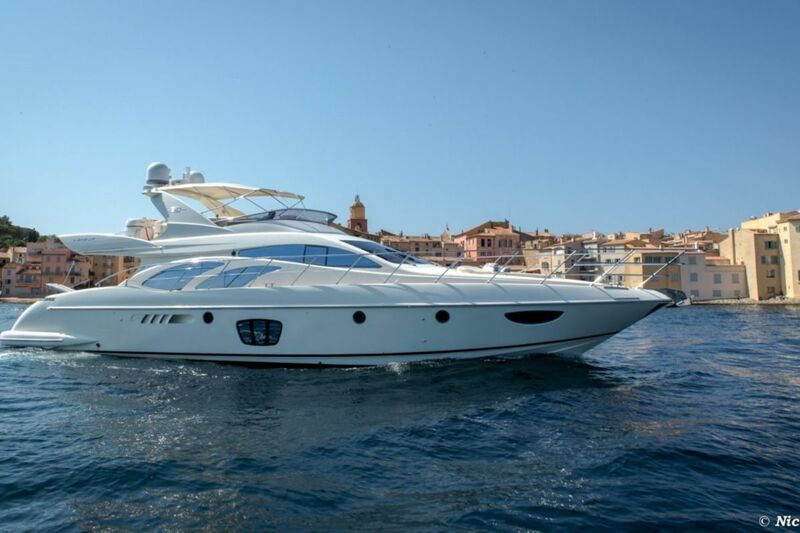 This Azimut 62 Evolution yacht is available for a St Tropez yacht rental. 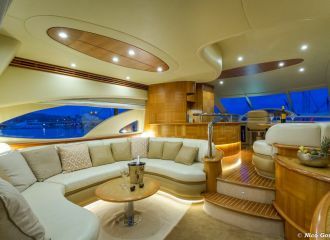 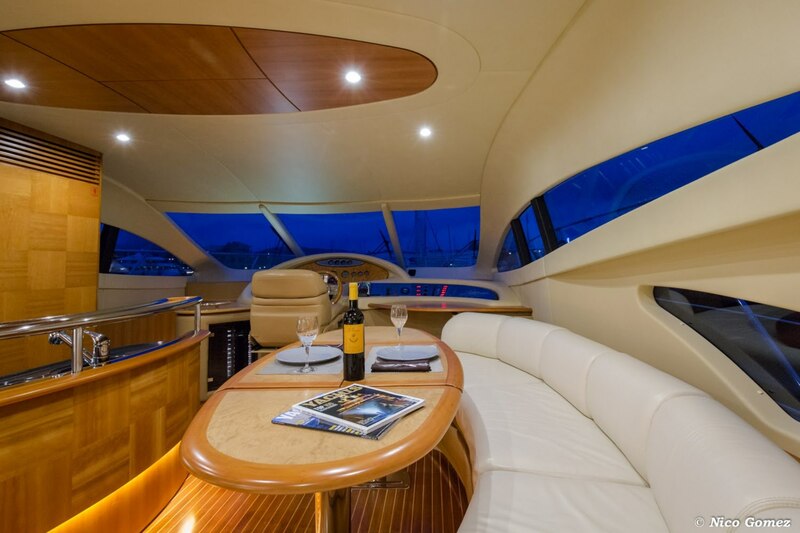 The yacht provides fabulous exterior and interior areas. 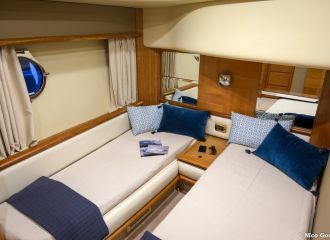 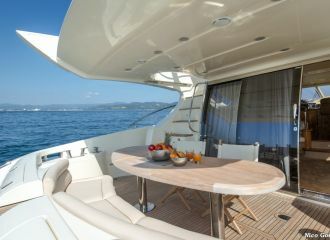 The flybridge is particularly enjoyable with a large sunbathing area, a dining table and a BBQ. 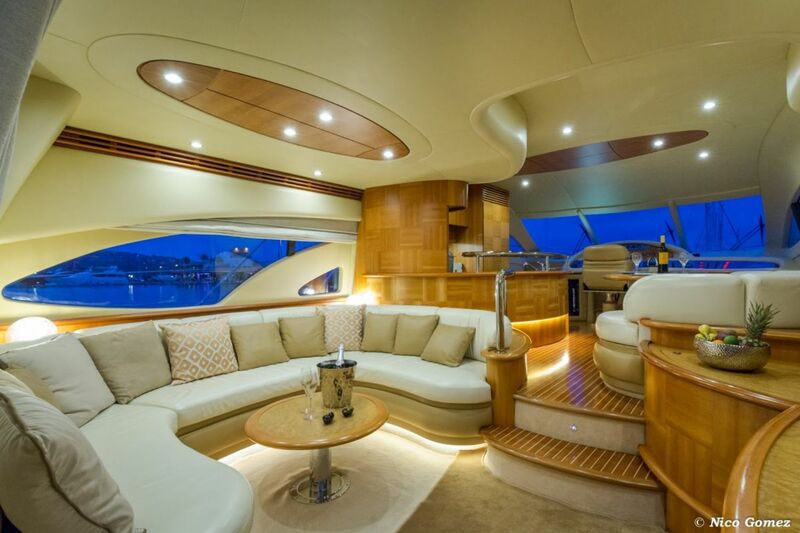 The interior is spacious and the large windows allow for plenty of natural light. 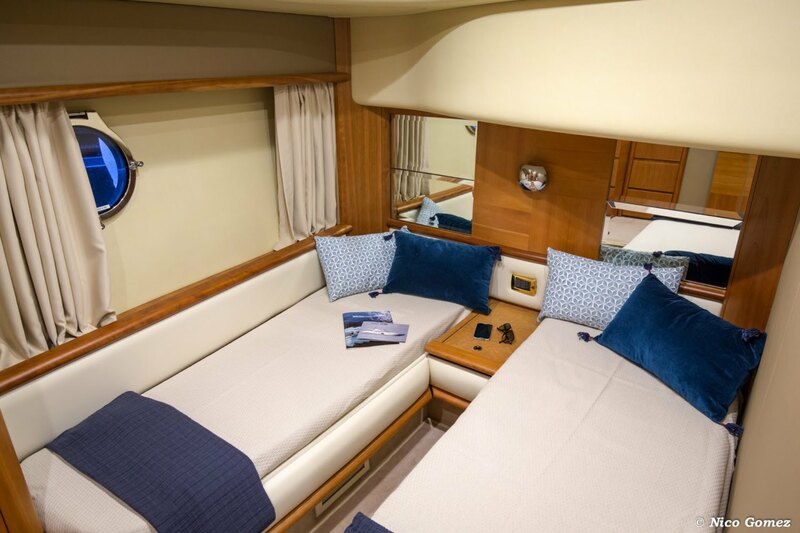 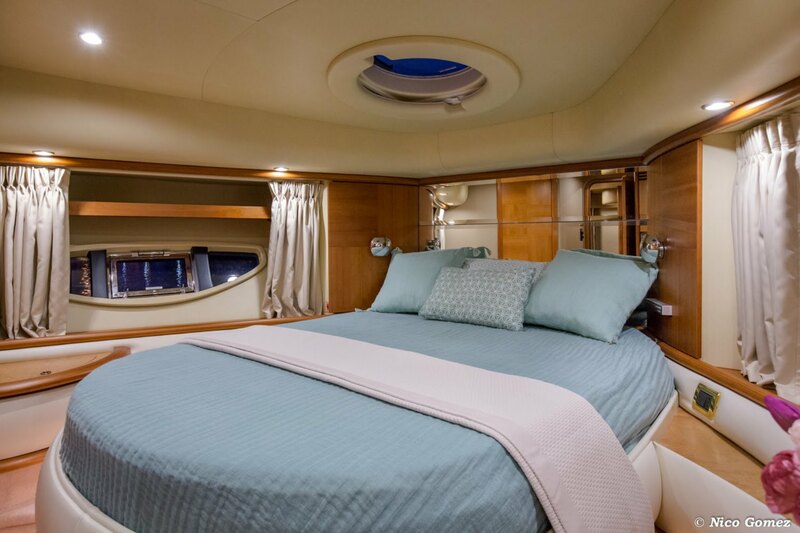 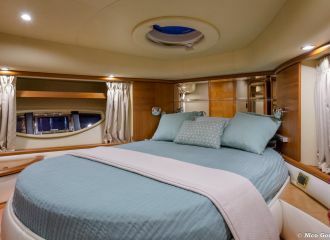 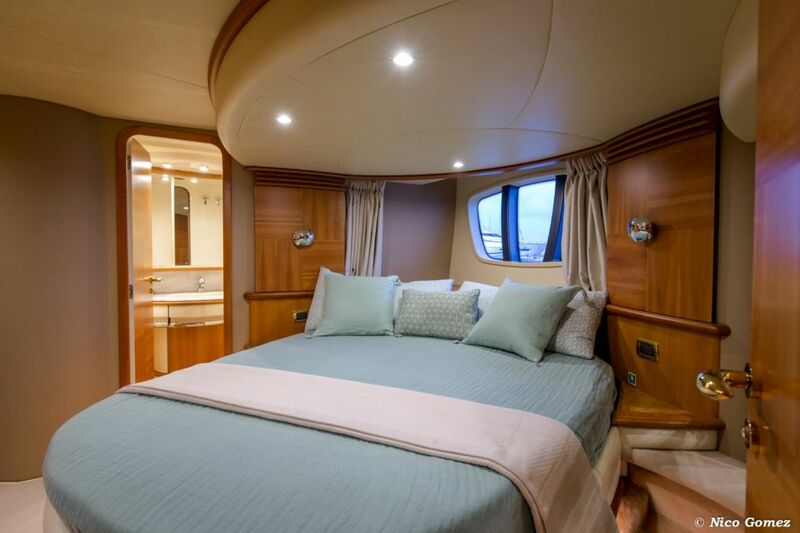 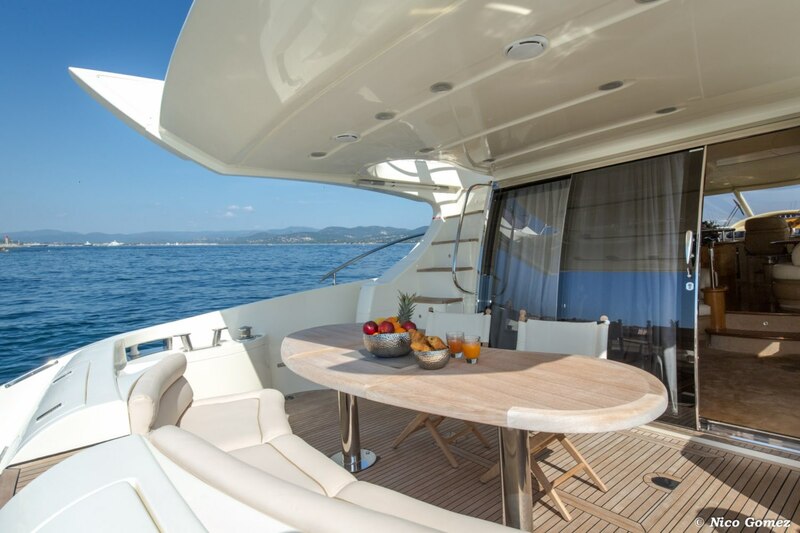 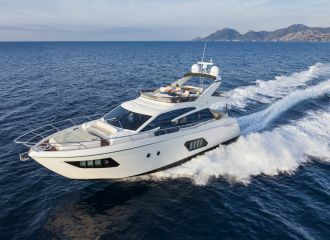 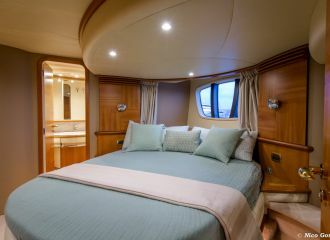 This Azimut flybridge motor yacht can accommodate up to 6 guests in 3 good-size cabins all with en-suite bathrooms. 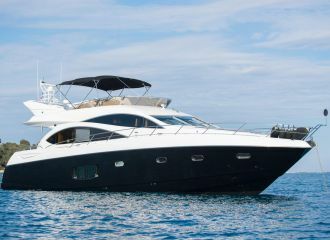 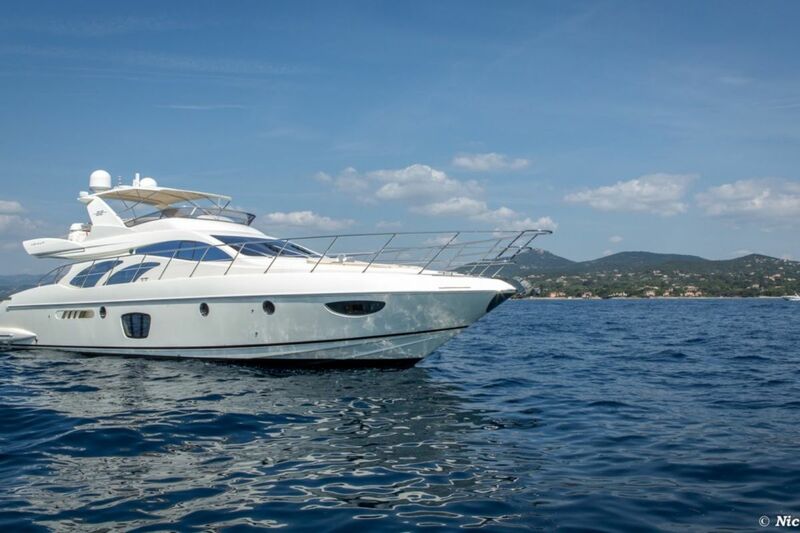 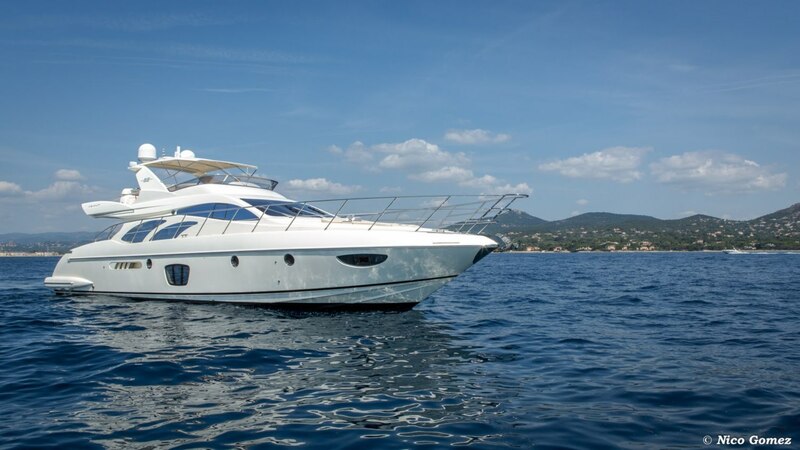 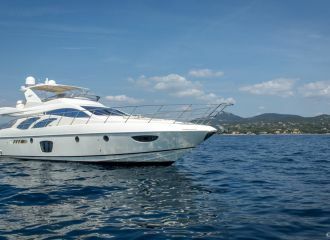 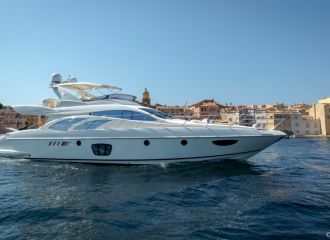 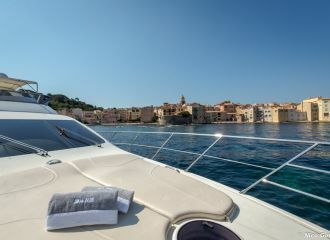 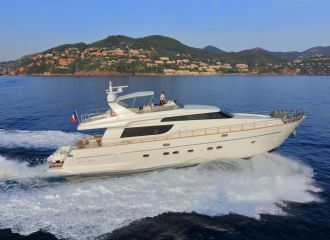 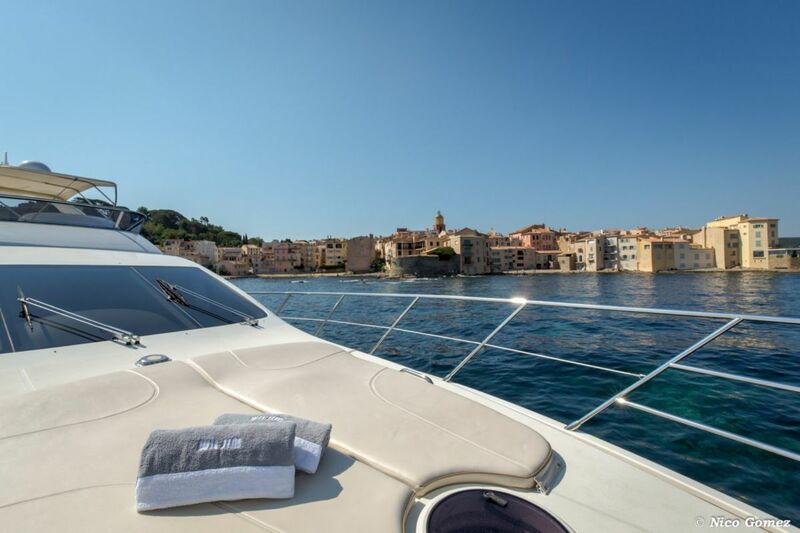 Perfect for a St Tropez day charter or a longer yacht rental in the south of France.